The cold, winter months call for some comfort food. Especially, when it’s been downright frigid throughout the country. 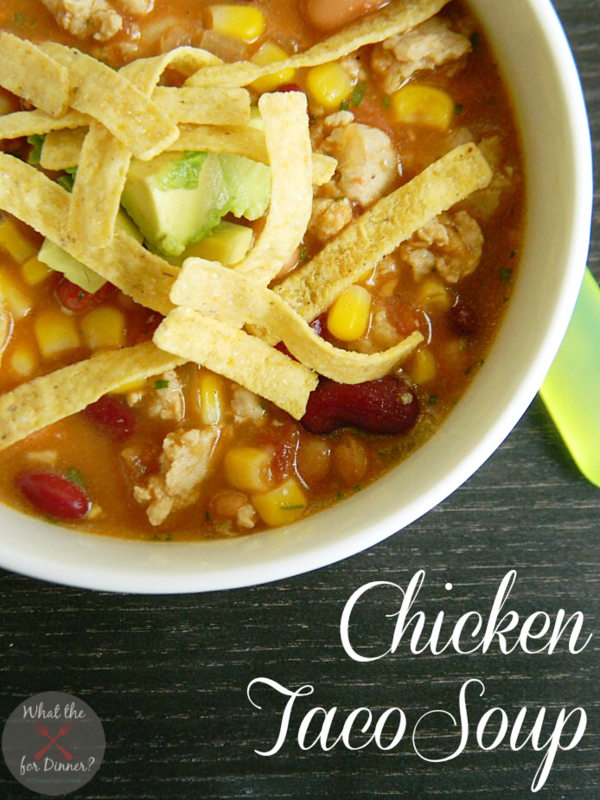 Luckily, taco night will take on a whole new level of comfort with this easy and delicious Chicken Taco Soup. If you love the idea of meal planning but not sure where to start, join the Join the 10 DAY MEAL PLANNING CHALLENGE! Oh yum!!! I love Taco Soup!! My mouth is watering… this recipe looks AMAZING! Can’t wait to try it! Chicken Taco soup is one of my favorites as well. I just discovered it last year, but it now makes an appearance on the menu at least one per month. That looks so good! I was sick last week and got some store-bought tortilla soup. This looks way better! Wonderful photos. yum this looks so good! wish I had some right now!